GRAFENWOEHR, Germany — This February, USAG Bavaria invites the community to celebrate the historical contributions of African American men and women in the military, honoring their remarkable accomplishments. African Americans have honorably answered the call to duty and bravely fought in every U.S. conflict for more than 200 years. Nationally February is recognized as African American History Month, and the Army commemorates the sacrifices made enriching America’s journey. Black History Month Cultural Observance, Rose Barracks Theater Bldg. , Wed, Feb. 22 11:30 a.m. – 12:30 p.m.
Black History Month Luncheon, Camp Aachen USO, Bldg.1 164, Wed, Feb. 22 at noon. What has the Army done, and what is planned for the future? America’s Army was built upon accepting people with diverse backgrounds and drawing on their unique experiences, skills, talents and abilities to remain highly capable and mission-ready. African Americans have played a major role in shaping this Army. Their sacrifices and historical achievements are part of the Army story. African Americans at all levels — uniformed and civilian — have and continue to play, key leadership roles in the Army with fierce dedication to duty, honor and country. According to numbers from 2015, 21 percent of the active duty Army identify as African American, with 22 percent in the Army Reserve and 15 percent in the Army National Guard. 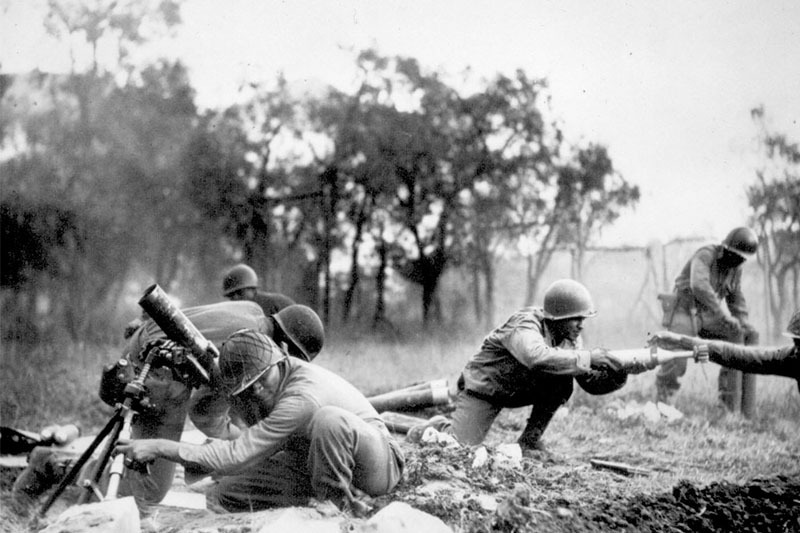 A special Army website, dedicated to African Americans in the U.S. Army, www.army.mil/africanamericans, outlines the contributions of African American Army personnel throughout history. Each year, the Army selects a theme that not only highlights important contributions, but emphasizes the progress made from the black history movement. This year’s theme is “The Crisis in Black Education.” From unrelenting battles in the courts to the freedom schools of the 1960s, and the rise of mentor-ship programs that inspire a love of learning, education continues to be an important goal and one that is supported to efforts to sustain and strengthen the Army. Annually the Army’s leadership puts forth a tri-signed letter paying tribute to the sacrifices and contributions that African American Soldiers, civilians and families have made to the nation. In addition, in 2010 the Army worked with the producers of the “For Love of Liberty” documentary that aired at the Pentagon, on PBS, and, most recently, at numerous public venues. Throughout the year, the Army celebrates and commemorates its diversity and leverage. It draws strength from the rich diversity within its ranks by recognizing the critical role played by all in strengthening the nation’s presence around the world. Army platforms will continue telling the stories of American Soldiers and Army civilians both past and present from all diverse backgrounds. Being a Soldier or Army civilian involves diverse opportunities and experiences not always available elsewhere — options that emotionally, morally, physically, professionally and economically challenge and empower people for life. Talent is sought out and managed in the Army by selecting and training the best qualified Soldiers and civilians from various backgrounds regardless of race or ethnicity. Army leadership values the more than 103,400 African American Soldiers part of the all-volunteer force today. Aligned with this year’s theme, the Army continually supports Soldiers’ efforts to increase their education, build a better future for themselves, and further their talents. The U.S. Army confidently embraces diversity as a way to enhance military effectiveness. In support of protecting a climate of equal opportunity for all in the military, the Army celebrates the expanding of roles and opportunities for its African American men and women. The Army has benefited from the leadership, intelligence and contributions of African American Soldiers throughout history and will, with certainty, continue to carry their legacy in the American journey.